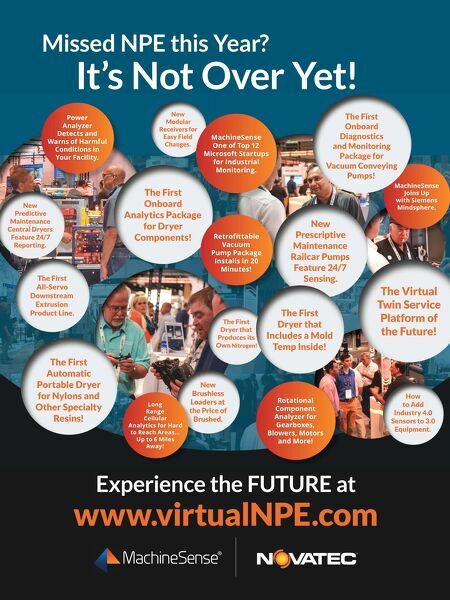 Experience the FUTURE at www.virtualNPE.com Missed NPE this Year? It's Not Over Yet! New Prescriptive Maintenance Railcar Pumps Feature 24/7 Sensing. The First Dryer that Produces its Own Nitrogen! How to Add Industry 4.0 Sensors to 3.0 Equipment. 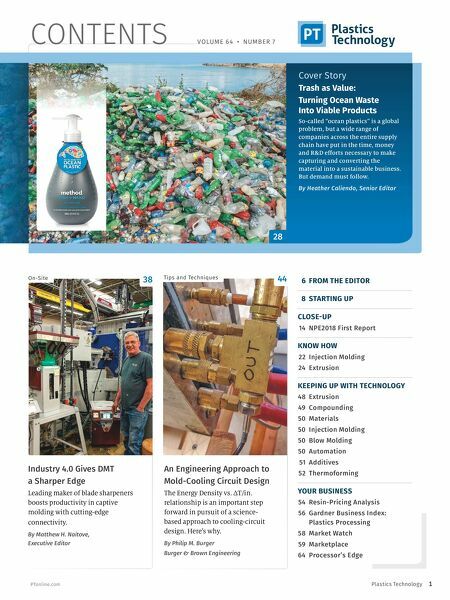 New Predictive Maintenance Central Dryers Feature 24/7 Reporting. MachineSense Joins Up with Siemens Mindsphere. The First Onboard Analytics Package for Dryer Components! The First Automatic Portable Dryer for Nylons and Other Specialty Resins! The First Onboard Diagnostics and Monitoring Package for Vacuum Conveying Pumps! The First Dryer that Includes a Mold Temp Inside! The Virtual Twin Service Platform of the Future! New Brushless Loaders at the Price of Brushed. New Modular Receivers for Easy Field Changes. The First All-Servo Downstream Extrusion Product Line. Retrofittable Vacuum Pump Package Installs in 20 Minutes! MachineSense One of Top 12 Microsoft Startups for Industrial Monitoring. Rotational Component Analyzer for Gearboxes, Blowers, Motors and More! Power Analyzer Detects and Warns of Harmful Conditions in Your Facility. Long Range Cellular Analytics for Hard to Reach Areas… Up to 6 Miles Away!